July 22, 2015 (LBO) – ICRA Lanka Limited, a wholly owned subsidiary of ICRA Ltd, a group company of Moody’s Investors Service has assigned an Issuer rating of [SL]A+ for Access Engineering with stable outlook on the long-term rating. Full text of the press release is reproduced below. ICRA Lanka Limited, a wholly owned subsidiary of ICRA Ltd, a group company of Moody’s Investors Service has assigned an Issuer rating of [SL]A+ (pronounced S L A plus1) for Access Engineering PLC (“AEL”/ “the Company”). The outlook on the long-term rating is stable. While assigning the rating, ICRA Lanka has taken a consolidated view on Access Engineering Plc and its subsidiaries as whole, given the operational and financial linkages among them. The assigned rating takes into consideration the longstanding track record and established position of the Access group as a leading Engineering, Procurement and Construction (EPC) contractor in Sri Lanka. AEL has sizable experience in the design and construction of Roads & Bridges, Medium-Rise Buildings segments, as well as foundations & sub-ground work for high-rise buildings. Further, it also have varied experience of undertaking EPC works in segments such as water resources, telecommunications, ports, airports, etc. The rating also takes into consideration the professional management team of the company supported by SAP Enterprise Resource Planning system which aids it in real-time project tracking and implementation. These apart, the rating also factors in AEL’s healthy financial profile backed by its comfortable profitability and debt-free capital structure. The rating, however, is constrained by the modest size of AEL’s current order backlog of Rs. 24, 000 Mn of ongoing projects as well as the high concentration in the order-book in terms of exposure to few projects, segments and customers. The competitive pressure in the construction industry, particularly for government projects, and the prevailing macro uncertainty within the sector, act as key rating sensitivity for AEL. ICRA Lanka also notes that, though the gearing and coverage indicators have been healthy in the past, the working capital requirements are sizable and could expose AEL to liquidity risk in case of increasing commitments towards larger projects and increasing scale of operations. Further, any change in government policy towards the construction sector would impact AEL, as the company is reliant on government orders; further, expansion into overseas markets or other sectors could increase the overall risk profile of the group, given it limited experience in such business operations. AEL (Consolidated) operates mainly in four sectors i.e. Civil Engineering, Construction Material, Commercial Real Estate, and Automobile dealership. For the FYE March 2015, Civil engineering segment contributed to approximately 71% of AEL’s revenues, while the auto dealership segment contributed 21%, construction materials segment contributed to 7% and the remaining 1% was contributed by the commercial real estate operations of AEL. AEL is recognized as a major and specialized contractor by the National Contractors Association of Sri Lanka and ICTAD (Institute of Construction Training and Development) with C1 grading for six engineering sectors, GP-B1 for piling works and EM-1 for telecommunication works. Some of the larger projects currently being handled by AEL include RDA (Road Development Authority) and UDA (Urban Development Authority) projects, which include “Rehabilitation & Improvements to Colombo – Kandy Road section from Kadawatha to Nittambuwa” awarded by the RDA and the “Construction of Housing for Relocation of under Served Settlements at Henamulla [Phase II]” awarded by the UDA. AEL has been witnessing strong growth in its construction segment over the past few years. However, the growth could not be sustained in the previous year FY2014-15, owing to the weak order book position following the uncertain macro environment in Sri Lanka. The government has placed some of the orders received by AEL under review and as such, these projects could not be executed. The weak order book situation continues during the current year FY2015-16 also, with the government going slow on the review of these existing orders as well as in issuing new orders. Further, given the overall macroeconomic weakness, AEL has not been able to win as many contracts from the private sector also to compensate for the stagnant orders in the government segment. Nevertheless, AEL was able to sustain its revenues at the consolidated level during the FY2014-15, with sizable increase in sale of construction material, modest increase in revenues from Sathosa Motors, and revenues commencing from Access Projects, which is a recently acquired entity focusing on the construction of hotels and resorts. Typically, AEL records comfortable operating profit margins from its construction segment of around 15-20%, from its construction materials segment of around 30-35%, from its commercial real estate segment of around 75%, from its auto dealership 10-15%, and its Hotel/resorts construction segment of around ~10%. Both the auto-dealership as well as the construction of hotels & resorts are very competitive businesses in Sri Lanka and hence, the margins are moderated in these businesses. However, the margins have been comfortable in the general construction business, wherein AEL is one of the leading contractors and has a good reputation in terms of the quality of work undertaken. The margins in the general construction business are expected to continue at healthy levels despite the temporary weak order booking scenario in Sri Lanka. AEL’s working capital intensity (as characterized by net working capital / operating income) has been fluctuating in the range of 25% – 35% in the past. The working capital position has been largely driven by elongated receivables position, typically around 100-120 days. The company maintains raw material inventory of around 30-45 days generally. In addition, claims and deviations are recorded as work-in-progress until they are accepted by the customer. Backed by relatively stable working capital intensity and comfortable profitability margins in the past, and coupled with the sizable proceeds from the initial public offering in 2012, AEL has been able to maintain itself debt free at the standalone level. Further, it had sizable cash & liquid investments of ~ Rs.2.4 billion as on March 31, 2015 which could be utilized towards additional working capital requirements or future business acquisitions. AEL’s subsidiaries – Access Realties, Sathosa Motors and Access Projects together had total borrowings to the extent of Rs. 521.69 million. Access Realties and Sathosa motors have well established operations with positive cash flows and adequate debt servicing ability. On the other hand, Access Projects, being in nascent stages of operations, could require some funding support in the medium term. 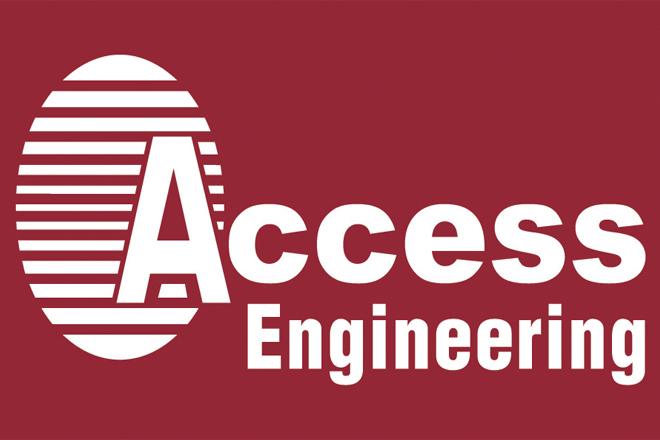 Access Engineering PLC (AEL) started its operations in 2001 as the Engineering, Procurement & Construction arm of the Access Group. Over the last 14 years, AEL has become one of the leading players in the Civil Engineering and Construction industry of Sri Lanka. The Company was listed in the Colombo Stock Exchange in March 2012 following an initial public offering. Since then, AEL has grown sizably with acquisitions of businesses, and through expanding its presence in construction, real estate and other segments. In February 2012, Access Engineering acquired Sathosa Motors PLC (Sathosa), which holds the franchise for Isuzu commercial vehicles. Also, Sathosa’s subsidiary – SML Frontier Automotive (Pvt.) Ltd. –is the sole agent for Land Rover in Sri Lanka. This apart, Access Realties (Private) Limited, which owns a commercial office property – ‘Access Towers’ – and its subsidiary, Access Realties 2 (Private) Limited, which is developing another commercial property – “Access Tower II”, are fully-owned subsidiaries. In September 2013, the Company formed a joint venture, ZPMC Lanka Company (Private) Limited with Shanghai Zhenhua Heavy Industries Company Limited (ZPMC) of China, a large container handling equipment manufacturer, to repair and maintain container handling equipment in the Colombo port. Promoted by Mr. Sumal Perera, Mr. Christopher Joshua, and Mr. Ranjan Gomez, the Access group has presence in telecom, healthcare, power & renewable energy, and information technology also in addition to the aforesaid businesses under AEL and its subsidiaries. For the FYE Mar-15, on a consolidated basis, AEL reported a net profit of LKR 2,461.4 Million on an operating income of LKR 16,617.6 Million as compared to a net profit of LKR 2,899.2 Million reported on an operating income of LKR 16,473.9 Million in FYE Mar-14.